Are you a healthy corporate environment? Are you able to ask what you need from emplyees or co-workers without criticizing? Is your staff engaged and present … really present at work? A positive coporate environment is described as an environment where employees and management have the freedom to live and grow…one that is supportive, motivating and enriching. This means throughout the whole company. My keynotes are designed to motivate and captivate the audience. 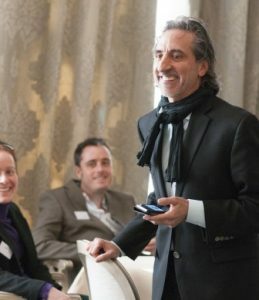 Using real life examples and interactive techniques, the audience experiences lively and memorable moments that leave lasting impressions and provocative insights for many days to follow. Your staff will be asking for more as my keynotes stimulate both the mind and body……learning all along that Happiness is actaully a choice, theirs!